e-CHUG is an online, personalized, brief screening tool that lets you see how your drinking, family risk and campus norms affect your life and future.  The program is available to U-M students, faculty and staff. e-TOKE is an online, personalized, brief screening tool that lets you see how your marijuana use, family risk and campus norms affect your life and future. U-M Counseling and Psychological Services offers free, online assessments for a variety of mental health issues, including alcohol. BASICS (Brief Alcohol Screening and Intervention for College Students) is a two-session non-judgmental alcohol assessment and education program offered free to all University of Michigan students who want to explore their alcohol use. Individual Marijuana Education Program is a free program for U-M students to help them learn strategies to reduce marijuana use or quit altogether. Wellness Coaching is a one-on-one, non-judgemental coaching session that can help students assess their alcohol and/or other drug use in the context of overall wellness. Outpatient assessment and treatment services. Fee-for-service; most insurance and public funding accepted. "Assists addicts and alcoholics in achieving long term recovery" and offers an Education Series. A brief, confidential educational program that helps you eliminate drinking problems by reducing your drinking or stopping altogether.You decide which is better for you: moderation or abstinence. Fee-for-service, however fee is waived for U-M faculty and staff. Concerned about someone? Helping a Friend provides suggestions and resources. U-M Collegiate Recovery Program provides holistic, tailored support to U-M students who are in recovery from alcohol or other drug problems. If you are a student in recovery or are curious about recovery, give us a call. Students for Recovery is a voluntary student organization that is sponsored by UHS. Students meet regularly to socialize as well as to plan and participate in service projects in the local community. If you are in recovery, thinking about recovery, or supportive of recovery, you are welcome to attend our meetings. For more information, see our Facebook page or contact the Collegiate Recovery Program. For local meetings, click on "Find a Meeting"
Creates opportunities for women recovering from alcohol and drug addiction to develop and sustain a healthy, sober lifestyle. Dedicated to helping women overcome alcohol and other addictions. Detoxification is required when a person is physically dependent on alcohol or other drugs. Medical monitoring can minimize the physical and psychological symptoms that occur when a person is deprived of a drug. Detoxification prepares a person to take the next step in their treatment process. National Institutes of Alcohol Abuse and Alcoholism offers Rethinking Drinking - A valuable, research-based resource. What do you think about taking a look at your drinking habits and how they may affect your health?